With a background in sociology and social psychology, Emily McDonald, PhD uses social science to identify the factors that effect and influence juror decision-making in the courtroom. Dr. McDonald has critically analyzed data produced in over a hundred mock jury studies conducted nationwide and translates the findings revealed in each jury study to offer insight and understanding to counsel about the way trial jurors will likely view the case. She provides strategic implications and recommendations to refine and effectively communicate case strategy and key case concepts. Dr. McDonald frequently conducts post-trial interviews with jurors nationwide to gain insight into the deliberations and to identify factors that contributed to the outcome of the case. She additionally consults with counsel pre-trial on opening statements, voir dire strategy, SJQ methodology and design, and provides recommendations during jury selection. Dr. McDonald has consulted on diverse litigation matters including complex civil litigation, employment, family, and criminal defense. 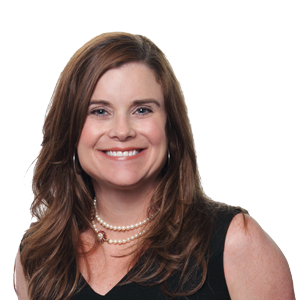 Dr. McDonald is a speaker and published writer who has conducted CLE and attorney education presentations as well as written articles on topics including: gender bias, witness communication, and decision-making myths. Gender Bias in the Courtroom, New Perspectives on the Modern Juror for Today’s Litigator, From the Corner Office to the Jury Box, Telling the Truth Effectively, and Connecting the Dots from Voir Dire to opening Statement. Emily holds a Ph.D. in Sociology with a specialization in Social Psychology, has done extensive research on juries, and wrote her dissertation on factors that influence juror decision-making when awarding compensatory and punitive damages using Dallas County jurors as subjects. Additionally, she has conducted social science research in the areas of Sociology and Criminal Justice. Dr. McDonald has been an adjunct faculty member at the University of North Texas, Texas Women’s University, and Collin County Community College and has taught courses in Social Psychology, Sociology, Statistics, Methods, Criminal Justice, and Criminology. She earned her Ph.D. from the University of North Texas, also holds a Master’s Degree in Criminal Justice from UNT, and received an undergraduate degree in Sociology from the University of Texas at Austin. Jones, H., Bloom, J., and McDonald, E. (2012) “How To Maximize the Effectiveness of Voir Dire.” Texas Lawyer. April 16, 2012. Jones, H., Bloom, J., and McDonald, E. (2012) “How To Help Jurors Render a Favorable Decison.” Texas Lawyer. September 17, 2012. Jones, H., Bloom, J., and McDonald, E. (2012) “Teaching Witnesses to Help the Jury.” Texas Lawyer. November 19, 2012.